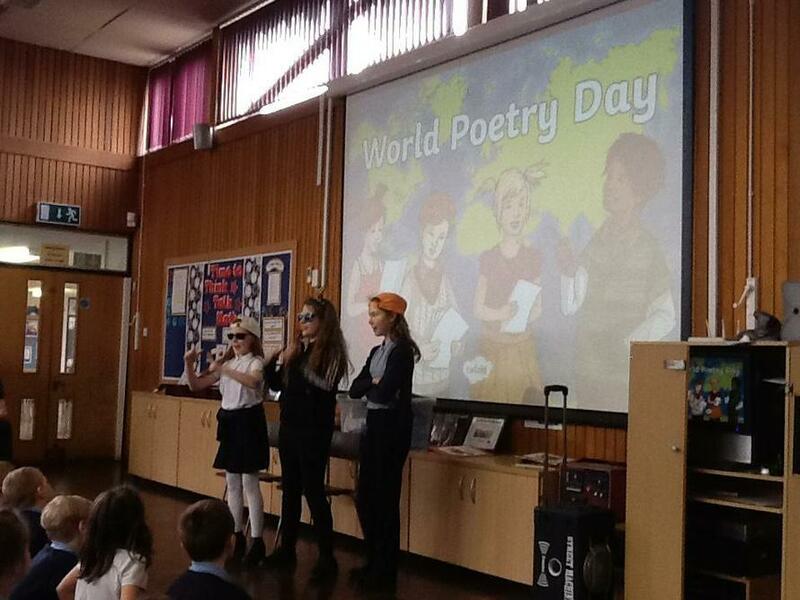 We celebrated World Poetry Day in school by having a poetry slam. Each class worked in groups to perform a poem and then they had a vote to see which group went through to the final poetry slam in the afternoon with the whole school. The children performed so confidently in the hall and we all enjoyed a variety of poetry from poets such as Joseph Coelho, Michael Rosen and Julia Donaldson. Congratulations to Class 6SH who won the overall poetry slam book prize with their poem Mafia Cats By Roger McGough.